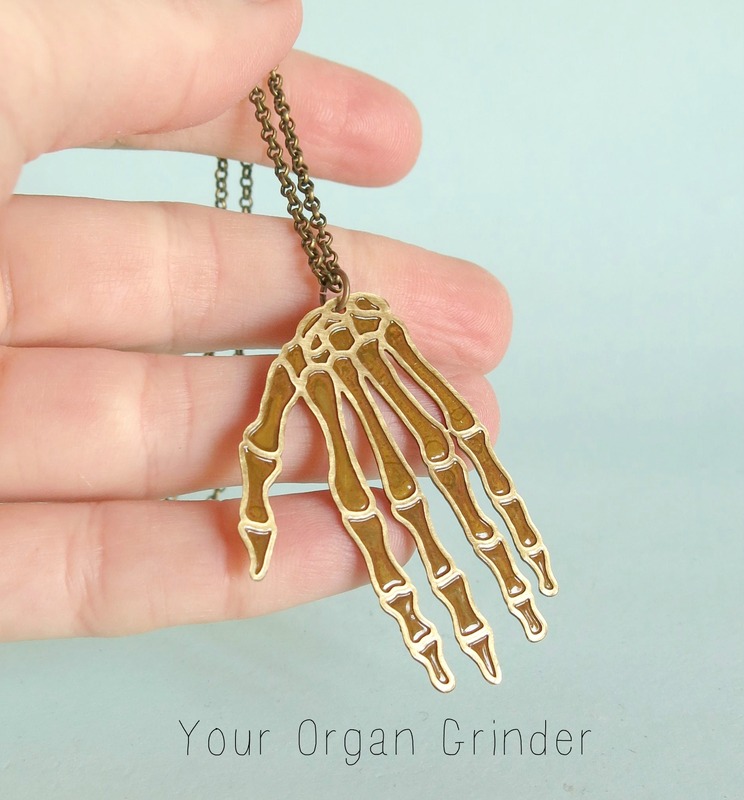 Brass Anatomy Jewellery is Back! 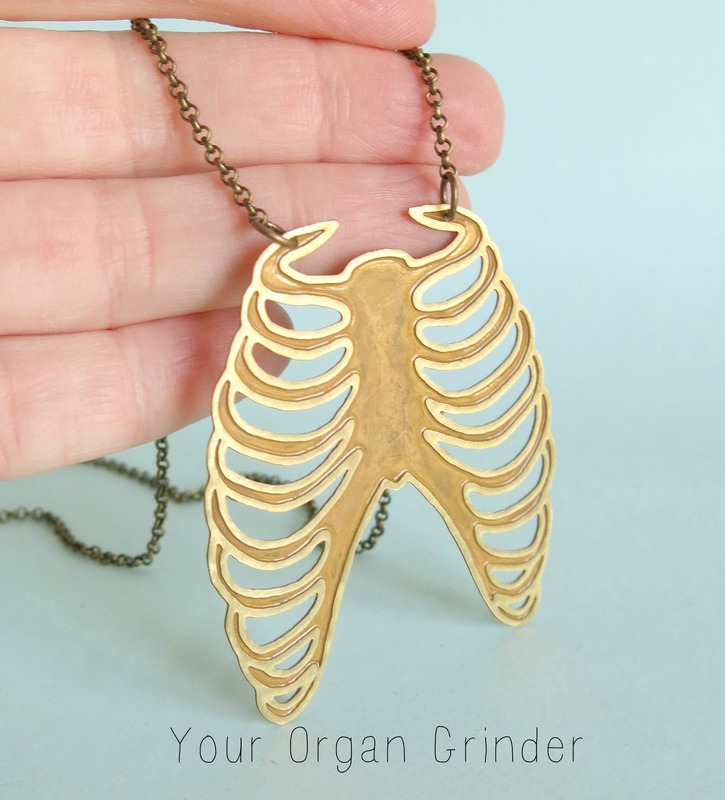 My partner first came up with the idea for making Brass Anatomy when I was asking about a way to turn my drawings into something. I am not great at drawing but some of them are okay, they certainly have potential for some sort of use. As making the brass pieces needs to be done in bulk we only do it to so often. We recently did some new ones for Finders Keepers, and the upcoming GoMA market here in Brisbane. Find the new brass in my shop, here. 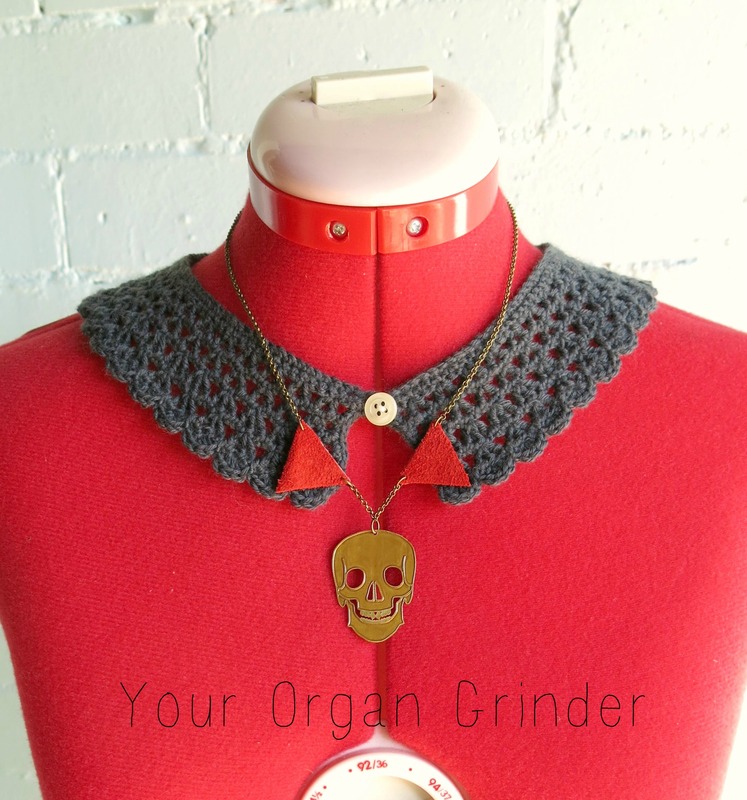 This entry was posted in Your Organ Grinder and tagged anatomy, brass, hand, jewelery, jewellery, necklace, ribs, skull, your organ grinder on July 11, 2014 by yourorgangrinder.